Over 50 VADP supporters came from all corners of the Commonwealth for the VADP 25th Anniversary Awards Luncheon in Richmond on Saturday, October 8, 2016. VADP board member Lauren Ramseur recognized former VADP Executive Directors Jack Payden-Travers, Beth Panilaitis, and Steve Northup. VADP founder Henry Heller sent remarks that were read to the group. Henderson Hill, Eighth Amendment Project Executive Director, spoke about the national abolition campaign and efforts across the country to end capital punishment. VADP then conferred the 2016 Betty Gallagher Citizen Advocate of the Year Award on the late Janet Cowie Cook. Her son, Bill Cook, accepted the award honoring her passionate opposition to capital punishment. Janet’s husband and other children were there to honor her memory. 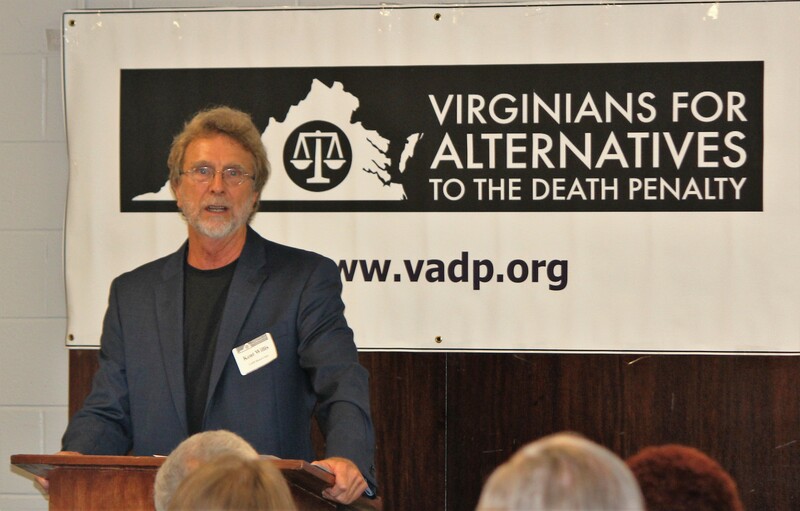 Lastly, VADP gave its Legislator of the Year Award to Marcus Simon of Fairfax for his leadership in opposing Governor McAuliffe’s execution drug secrecy proposal in the 2016 veto session of the Virginia General Assembly.